You've certainly come to the right place to discover homes that are different from the sameness of most contemporary urban structures. We’d like to tell you a little more about our 1180 Homer Street and 1168 Richards Street homes, both of which are now complete and ready for occupancy. While most of the homes are sold, there are still 2 exceptional homes available at 1180 Homer – one of the most exciting heritage conversions in Canada, and 2 limited edition homes at 1168 Richards – four time 2006 Georgie Award Winner. 1241 Homer Street… Intimate, High-Style Homes in Yaletown Vancouver. We’re writing to you today about 1241 Homer - an exceptionally limited collection of high style homes located in Vancouver’s popular Yaletown district. With just two homes per floor, there are only 12 1241 Homer Street luxury Yaletown presales homes available for purchase in this premium building. 1241 Homer is the sister building to the award winning 1168 Richards – pre-construction Yaletown homes that have been recognized by both the Urban Development Institute and the Georgies as being the best in their class. And while 1168 Richards was an outstanding achievement, we’ve raised the bar even higher with 1241 Homer luxury pre-sales homes in Yaletown Vancouver. Clad with brick exteriors, these large urban homes will feature generous outdoor spaces, and will sport exposed brick accent walls and gourmet kitchens that include Miele and Sub-Zero appliances. Master suites at the 1241 Homer Street residences will all have oversize soaker tubs, separate showers and in-floor radiant heating. These are truly luxury Yaletown pre-construction homes for the most discerning urbanist. But, as we stated earlier, there are only 12 presales homes available. In fact, there are just 4 two-level cityhomes at 1241 Homer Street with double height ceilings in the main living area, 6 large single-level 2-bedroom homes with our signature overhead garage door style window wall, and 2 luxurious one-of-a-kind penthouses with rooftop terraces accessed by private in-suite elevators. Yvonne Drinovz, Madison Marketing Inc.
PS: Watch for next week’s email that will include prices, floorplans and website access information. Prices are exclusive of GST and are subject to change without notice. In a continuring effort to improve our homes, developer/builder reserves the right to make any modifications and/or changes. Room sizes, square footage, specifications and features may vary. E. & O.E. Just a reminder that these 1241 Homer Street Yaletown presales homes are not likely to last. So, if you would like to learn more about this exceptional Yaletown real estate pre-construction opportunity, contact me today at at 604 551 9493 or email yvonne@metroliving.ca - Best, Yvonne Drinovz, Madison Marketing Inc.
124I HOMER IS AN EXCEPTIONALLY LIMITED COLLECTION OF HIGH STYLE HOMES LOCATED IN VANCOUVER’S POPULAR YALETOWN DISTRICT. IN FACT, THERE ARE ONLY 12 HOMES AVAILABLE FOR PURCHASE. THE 1 BEDROOM + DEN, 2 BEDROOM AND 2 + DEN HOMES IN THIS VERY EXCLUSIVE OFFERING RANGE IN SIZE FROM 984 SQUARE FEET TO 1480 SQUARE FEET AND HAVE BEEN STYLED TO MEET THE NEEDS OF A MOST EXACTING CLIENTELE. PLEASE TAKE YOUR TIME AND PERUSE THIS PRESALES YALETOWN REAL ESTATE CONDO SITE AT 1241 HOMER STREET IN DOWNTOWN VANCOUVER. AND WHEN YOU’RE READY TO FIND OUT MORE, CONTACT YVONNE DRINOVZ AT 604 551 9493. SHE’LL BE MORE THAN DELIGHTED TO LET YOU IN ON THE GOODS. By Susan for the Townline Connect. 1241 Homer Street Vancouver downtown real estate development is an exceptionally limited collection of 12 high style city homes by Townline Group of Companies. And while it’s set right in the heart of Vancouver’s Yaletown real estate district, the entire 1241 Homer building creates an intimate haven in the midst of a two million strong metropolis. Dramatic double storey city homes at 1241 Homer Vancouver houses for sale make up the first two levels. Above them, each floor hosues two luxury 1241 Homer Yaletown suites for sale. All feature clean, moern design highlighted by rich finishing’s. 1241 Homer residents will be spoiled with such unique features as overhead garage window walls, a car elevator, private penthouse elevators and roof decks, and expansive terraces here at the Yaletown 1241 Homer Townline city homes for sale. And with Yaletown real estate’s enviable selection of top restaurants, local design ships and boutiques, the world outside the Yaletown 1241 Homer cityhomes and suites for sale is just as appealing. “Our boutique building lends itself to an easy quiet lifestyle,” says Sales Manager Yvonne. “This is truly limited edition European style living.” In the first of two spectacular 1241 Homer display homes, Scott Trepp of Trepp Design Inc. has created a perfectly fitting interior to show this two storey Yaletown city home for sale. To play up the double volume living space, Trepp Design Inc installed a Bocci light fixture. With its 24 points of light, it links the living area to the master bedroom above, while providing a sparkling, soft contrast to the exposed brick of these luxuries 1241 Homer Yaletown apartment suites and cityhomes in downtown Vancouver real estate market. The original brick of the 1241 Homer building also inspired several textural elements, including a dark, rich area carpet that provides a lustrous counterpoint. In the second display home at the pre-sale Yaletown cityhomes at 1241 Homer Vancouver real estate development, Peter Wilds of The Cross Décor and design has used a palette of classic whites, shimmery and smokey greys, and rich earth tones to build on the building’s architectural lines. “Our firm represents timeless elegance, modern inspiration, and a touch of humour,” says Wilds. “I see this beautiful Yaletown home as a place to retreat, replenish and entertain.” Sister building to Townline’s multi award winning 1158 Richards and part of Townline’s Six in the City Metroliving Series, 1241 Homer Yaletown cityhomes is fully complete and available for viewing by appointment only. Call Yvonne at 604.551.9493 or visit www.1241homer.com for all the details. 1180 Homer – a one-of-a-kind luxury loft in Yaletown: Move in Today. The residences at 1180 Homer, with their restored historic façade, feature exposed brick and reclaimed Douglas Fir floors and beams, 9 ½ foot ceilings, and gourmet kitchens with Miele and Sub-Zero appliances, are truly one-of-a-kind. Large, liveable spaces and truly spa-like bathrooms offer space and luxury not often seen these days. 1180 Homer boasts Vancouver’s first residential car elevator, and other special features like custom manufactured Amethyst Areaway Glass set in the walkway entrance. And, perhaps best of all, these homes are ready for you to move into today. Not only do you not have to wait to move, you can also see what you are buying in reality rather than trying to visualize your home from a floor plan. 1180 Homer – priced from $1,049,000. 1168 Richards is all new construction, and won a prestigious Georgie Award for Best Multi-Family Low Rise and Best Kitchen at the 2006 awards. 1168 Richards is a remarkably limited edition of only 12 homes in a 6 storey concrete building. In a prime downtown address across from the new Emery Barnes Park, these are modernist, open-concept residences that speak of airiness and refinement. Spacious balconies with garage-style overhead doors, private roof terraces and ground level patios make Emery Barnes Park feel like your front yard. The full size Sub-Zero refrigerator and Miele 5-burner gas cooktop are perfectly scaled for the generous chef’s kitchen. All appliances and fixtures are what you would expect for a home of this calibre – including an Elkay stainless steel apron mount sink with Blanco commercial faucet and striking stainless steel tile backsplash. 1168 Richards – priced from $1,049,000. To view our fully decorated display suites without leaving your computer, please see our virtual tours of 1180 Homer and 1168 Richards available on www.metroliving.ca. To arrange an appointment to view the fully decorated display suites in person, please contact me at yvonne@metroliving.ca or 604-551-9493. PS: A Metroliving update... as you may have noticed on our website, the final release of our 540 Beatty will be available Spring 2008. Watch your email later this year when we release more information about 999 Seymour and 1241 Homer, coming soon. Located at 540 Beatty Street, you can now purchase a historic loft conversion in downtown Vancouver’s up and coming Crosstown real estate district, just steps from historic Gastown and Chinatown, the business district as well as International Village and False Creek. The Crosstown presale 540 Beatty Street loft residences are ready for fall 2008 occupancy and move-ins! The 540 Beatty St lofts sales centre is fully furnished with display homes and located on site at 540 Beatty Street in downtown Vancouver. They are open noon to 5pm daily except Thursdays and Fridays and the historic Vancouver loft conversion is MetroLiving by Townline Homes property. You can call 604.684.5403 or visit www.540beatty.com for more information about these presale loft conversion homes in Crosstown Vancouver. Right now, the presales historic Vancouver lofts at 540 Beatty Street include open 1 bedroom with car share from $395,000 and one beds with parking from $459,000. also available at the pre-sale 540 Beatty St Vancouver loft homes are penthouse suites from $1,100,000. By Susan for the Townline Connect newsletter. Sure, it’s had a grand past. In fact, when it went up a hundred years ago, the Crane Building at 540 Beatty Street made quite an impression. Not only was it set amongst some of downtown Vancouver real estate’s most historically and economically significant structures, but it was also the largest concerete building in Canada at the time. Still, it’s never looked better than it does today. Of course, the pre-sale 540 Beatty Street downtown Vancouver loft conversion original pillars, exposed brick walls, soaring ceilings and massive windows are still awe inspiring. But now, they’re the centrepieces of the Townline 540 Beatty Vancouver landmark buildings’ inspired loft conversion into fifty seven modern lofts in Crosstown downtown. “540 Beatty is a true heritage loft conversion – a boutique condo building in an exciting transitional neighbourhood,” says Sales Manager Yvonne. “It’s artsy. It’s got a New York meat packing district feel. And while it’s in a bustling downtown Vancouver neighbourhood, it’s on a quiet street – an oasis in the middle of everything.” The pre-sale downtown Vancouver 540 Beatty Lofts is the realization of the urbanists’ dream. It’s a modern Crosstown Vancouver home geared to celebrate the legacy and evolution of the area and the building. The Townline open plan maximizes light and space. Original cast iron columns and refurbished wood sash windows create a striking counterpoint to the modern interior design of the loft conversion of 540 Beatty Vancouver lofts for sale featuring polished concrete floors and European modular kitchens. The display suite, by Trepp Design and Townline, juxtaposes the historic elements with classic contemporary furnishings and artwork. Drawing inspiration from the century old brick walls of the downtown Vancouver 540 Beatty Crosstown loft conversion project, for instance, Trepp Designs contrasts the interior’s crisp whites and concrete greys with hot reds and oranges. And then there’s the location. Townline 540 Beatty lofts sits smack dab in Crosstown downtown Vancouver real estate market – the intersection of downtown, Yaletown, Gastown and Chinatown. At the south end is the Stadium Skytrain station. Just around the corner Tinseltown and International Village. And all around are Vancouver’s hottest restaurants and boutiques, making Crosstown Vancouver real estate’s emerging style and fashion district. Now fully complete, the pre-sale 540 Beatty lofts is available for viewing daily except Thursday and Fridays. Sales Centre and Display Homes for the pre-sale lofts at 540 Beatty Vancouver loft conversion by Townline are located at 540 Beatty Street, Vancouver. Call Yvonne of Madison Marketing Inc at 604.551.9493 or visit www.540beatty.com. Visit today to view our two fully furnished display 540 Beatty Vancouver lofts for sale. CHOOSE YOUR MOVE IN DATE! All of these homes are ready for you to MOVE IN TO TODAY. 540 BEATTY OFFERS MORE: High ceilings - ranging from 10' to over 16', Polished concrete floors, Original brick feature wall and Bosch stacking washer and dryer in every downtown Vancouver loft for sale at the MetroLiving 540 Beatty Lofts. This is in addition to the Gourmet appliance package: Liebherr fully integrated paneled refrigerator, Jenn-Air 4 burner electric frosted white-ceramic glass, cooktop that blends seamlessly with countertops, Bosch stainless steel thermal wall oven, Faber elite slim profile hood fan, Bosch integrated paneled dishwasher and Panasonic stainless steel microwave that come standard in every presale Vancouver Downtown Loft for sale by 540 Beatty Street. Also, the European modular kitchen features: Seamless glacier white Corian countertops, Custom maple butcher block kitchen island, White high glass laminate cabinetry, Acid etched frosted glass upper cabinets, Starphire white glass backsplash and Blanco stainless steel undermount sink. Stop by to see us at the downtown 540 Beatty Vancouver Lofts for sale, be sure to get the tour of our TWO FULLY FURNISHED DISPLAY SUITES. WE'RE MAKING IT EASIER FOR YOU TO VISIT US with EARLY SPRING HOURS - NOW IN EFFECT. Our Downtown Vancouver 540 Beatty Lofts Sales Centre (and 2 Display Homes) are located at 304 - 546 Beatty Street. EARLY SPRING HOURS: Saturday, Sunday, Monday - Noon to 5pm as well as Tuesday, Wednesday, Thursday - 3:30 to 7:30pm. Or, if you'd like more information about the 540 Beatty Downtown Vancouver Lofts for sale, it's available at www.540beatty.com or by calling the Sales team at 604.684.5403. Warm Regards. 540 BEATTY HISTORIC LOFT CONVERSION IN CROSSTOWN, VANCOUVER REAL ESTATE MARKET. SUBSTANTIVE DOWNTOWN VANCOUVER CONDO PRICE REDUCTIONS! 8 HOMES SOLD LAST WEEK - ONLY 8 HOMES REMAIN HERE AT 540 BEATTY STREET BY METROLIVING. (5 HOMES PRICED UNDER 395,000 INCLUDING NET GST). The suites are OPEN 1 BEDROOM PLANS with OVER-HEIGHT CEILINGS, POLISHED CONCRETE FLOORING and ORIGINAL BRICK FEATURE WALL. NEW SALES CENTRE HOURS FOR VANCOUVER 540 BEATTY CROSSTOWN CONDOS FOR SALE. Saturday, Sunday, Monday - 12pm to 5pm AND Tuesday, Wednesday, Thursday - 2pm to 6pm. VISIT OUR 540 BEATTY VANCOUVER CONDO SALES CENTRE (AND 2 DISPLAY HOMES) TODAY. WE ARE LOCATED AT 304 - 540 BEATTY STREET. MORE INFORMATION IS ALSO AVAILABLE AT WWW.540BEATTY.COM OR BY CALLING 604.684.5403. Some of the available suites here at the new 540 Beatty Gastown Vancouver condos for sale include Home 506 (Plan B) at 673 sq ft and priced at $379,000 plus GST. Condo fees are reasonable at only $149/month. Also 540 Beatty Condo #508 in Gastown Vancouver real estate market features 711 sq ft of living space and is priced also at $379,000. Home 106, or floorplan F is 714 sq ft in size and priced at only $339,000, but no parking. The larger Floorplan L unit 302 at the Metroliving Townline 540 Beatty Gastown condos for sale is 765 sq ft with $399,000 price tag while the largest Unit 405 at 775 sqft is $419,000. The display home here at the Gastown 540 Beatty STreet condos in Downtown Vancouver real estate market is #305 (Plan L) at 775 sqft and is $429,000. Choose your move-in date and all 540 Beatty Gastown Vancouver condos for sale feature over height ceilings ranging from ten feet to over 16 feet with polished concrete floors and exposed structural columsn and original brick feature walls! All suites here at the Townline 540 Beatty Gastown Vancouver condominiums inlcude one secure parking stall underground with the exception of suites 105 and 106. Author and feng shui expert MaryAnn Russell has published a book that claims home renovations done using feng shui methods will result in a happier and healthier home. Feng Shui is an ancient Asian belief that physical placement affects the flow of universal forces, for good and bad. According to Russell, there are lots of different feng shui aspects of a property, from the neighbourhood setting to the interior of a bedroom or a kitchen. “You need to learn how to analyze all factors that make a home or property strong or weak and identify how to make the right improvements to fully explore personal development and maximize environmental potential at a reasonable cost,” Russell says. Her 166-page book, The Feng Shui Factor, Modern Homes Ancient Blueprint,” is available at selected bookstores through 1st World Publishing. HOLIDAY CLOSURES: Thank you for your interest in Heritance Surrey homes by Townline Group of Companies. As the holiday season is upon us, we would like to let you know that, as is our tradition, we will be closing all of our Townline Homes Sales Centres during this time. LISTED BELOW ARE THE CLOSING AND RE-OPENING DATES FOR ALL TOWNLINE SALES CENTRES. Of course, if you have a particularly strong desire to buy your loved one a new home as a gift over the season, we will be delighted to accommodate you with a private appointment with our Townline Group of Companies real estate sales team. HERITANCE: Closes December 14. Reopens January 10. Call Neil, Royal LePage Wolstencroft Realty, 604-308-6116 for a private appointment. 540 BEATTY: Closes December 14. Reopens January 10. Call Yvonne, Madison Marketing Inc. at 604-551-9493 for a private appointment. 999 SEYMOUR: Closed November 30. By appointment only in 2009. 1241 HOMER: By appointment only in 2009 with two New Display homes to view. THE HUDSON: Closes December 14. Reopens by appointment only in 2009. THUNDERBIRD CREEK: Closes December 21. Reopens January 3.
or 604-815-3388 (Sea to Sky Corridor) for a private appointment. We wish you and your loved ones the best of the season. Profile Article on Trepp Design Inc. The Townline Group of Companies diverse portfolio includes market and non-market multi-family housing, single family homes, heritage restoration, mixed use, commercial and retail developments. We have a track records we are proud of, seeing it as only the beginning as we continue to investigate ways to make homes more liveable, more sustainable and return good value to our homeowners and investors. An exceptionally limited collection of downtown homes located in Vancouver’s desirable Yaletown district. Featuring 2 stunning Display suites at 1241 Homer Street. Available for occupancy right now. Visit www.1241homer.com for more details. Historic Vancouver loft conversion of the Crane Building at 540 Beatty Street to 57 inspired lofts in Vancouver’s Crosstown district. Featuring 2 fully furnished display suites at the 540 Beatty loft development. Available for occupancy. Visit www.540beatty.com for more details. A collection of 37 new four bedroom single family homes in Langley in the established family oriented neighbourhood in the sought after Willoughby area. The Canterbury Ridge Langley homes are now available for occupancy so please visit 19682 – 70th Avenue Langley for more details or just visit www.canterburyridge.ca. Compass apartments and townhomes includes an offering of pre-sale townhomes offering spacious two and three bedroom floorplans, an enviable list of luxurious features and a sought after Cloverdale location that combines small town charm with urban convenience at 61 – 18777 68a Avenue in Surrey BC or visit www.compassliving.com today. The Cloverdale Compass townhouses are now available for occupancy. Three and four bedroom single family Surrey homes in the heart of Clayton Village with finished basements, fenced yards, and detached two car garages. With 2 furnished display homes, the Clayton Village Heritance Homes are open Saturday through Mondays at 190th Street and 68th Avenue in Surrey BC or you can visit www.heritanceliving.com for additional details. A unique collection of flats, two level lofts and innovative courtyard homes in Victoria real estate’s historic Hudson Bay Building. Volumetric modernist interiors for the next century of living in Uptown Victoria. Viewings by appointment only at 1703 Blanshard Street in Victoria. www.hudsonliving.ca. Luxurious three and four bedroom homes in Richmond real estate’s most desirable neighbourhood with two car garages, fully fenced backyards, spacious kitchens and open floor plans available for occupancy right now. The new Richmond Terra Nova homes are located at Number One Road and Westminster Highway or you can visit www.townline.ca for more info. Set in Squamish real estate, this lush masterplanned community offers acres of parkland, stunning views, and an extensive network of trails. Open Saturdays and Sundays from one to four or by appointment, the Squamish Thunderbird Creek homes are located at Pia Road and Condor Road. Visit www.thunderbirdliving.com for more details. Four residences to complete this rare collection of Richmond duplex homes. Clad in timeless brick and located close to services and entertainment, the Acheson Duplexes Richmond real estate development by Townline Group of Companies are described by the Richmond city council as an “example for Richmond,” and are distinct resdiences designated with the single family community in mind. The Richmond Acheson Road duplex homes for sale are located at 7660 Acheson Road Richmond BC. Coming Fall 2009. Townline Group of Companies presents the Clayton Rise community, one of the most highly anticipated new home neighbourhoods in the desirable Clayton Village community of Cloverdale real estate market. Offering a collection of one hundred and thirty four spacious Clayton Rise townhomes in Cloverdale including eight duplex style townhomes, and minutes away from major retailers, services and restaurants, the pre-construction Clayton Rise Cloverdale townhomes for sale will be pre-selling in the Fall of 2009. The pre-sale Clayton Rise townhomes are located at 68th Avenue and 195 Street in Surrey, BC. A mixed use neighbourhood with community input, consistent with Richmond’s Official Community Plan. This key gateway location of the Richmond Gardens real estate development will also serve as an amenity for the larger community, and be an example for sustainable development in the region. Steveston Highway and No 5 Road in Richmond is the Gardens master planned community. Visit www.gatewaytorichmond.ca or www.liveatthegardens.ca for more information. The Richmond Gardens development is coming in the spring of 2010. Redevelopment of the parkade adjacent to the old Hudson’s Bay Building in Victoria BC. Underground parking, retail office space and three residential Hudson Place Victoria condo towers, designed around a mid-block carriageway and a landscaped courtyard create a pedestrian oriented village like atmosphere. Current status of the pre-construction Victoria Hudson Place real estate development: the development of a 12 storey, 120 unit residential condo tower at Hudson Place Victoria with retail at grade has been submitted for a development permit. After much anticipation, we are delighted to announce the Creekside Collection at Wills Creek South Surrey real estate development by Emaar developers. This luxury collection of South Surrey townhomes for sale will be released on Saturday, November 7th at 12 noon. The Creekside Collection at Wills Creek South Surrey townhomes for sale features new and highly anticipated floor plans including a 2400 square foot layout with master bedroom on the main floor and pricing starting from $549,800. These Wills Creek South Surrey home floor plans offer a rnage of sizes starting from twenty one hundred square feet in size with customization options and the well appointed gourmet kitchens and spa inspired ensuites you already adore. The newly released presale South Surrey townhomes at wills Creek Creekside Collection will continue the theme of west coast craftsman styling, combining beautiful natural materials such as wood and stone, signature asymmetrical roofs, earth tone patinas and compelling landscaping. Inside these presale South Surrey Wills Creek townhomes, you will find the same elegant features this Surrey real estate development is so well known for. Energy efficient appliances geothermal heating and cooling, rich hardwood flooring and extensive use of granite and marble effortlessly blend to create a new Surrey home you’ll enjoy living, relaxing and entertaining in. With a limited release of these popular Creekside Collection Wills Creek townhomes for sale and as we have already received a great deal of interest, I encourage you to arrive early on Saturday, November 7th to ensure the best selection of new South Surrey homes for sale. We are located off 32nd Avenue and 160th Street in South Surrey real estate district. In the meantime, you can call 604.542.8971 for additional information. The Creekside Collection Wills Creek Plan Ar features 1764 sq ft of main and upper floor finished areas and a total enclosed area of 2498 square feet. AS an additional option, you can choose to have the lower level finished with an entertainment bar, bedroom or full bathroom depending on what will best fit your personal lifestyle. Plan Dr at the Creekside Collection South Surrey Wills Creek townhomes features 1478 sq ft of finished space and a total enclosed area of 2158 sqft including the unfinished basement. Email Blast: Be the First to Buy in the Wills Creek Creekside Collection! We are excited to announce that the Creekside Collection at Wills Creek South Surrey townhomes fors ale will be available for sale to the public this Saturday, November 7th at 12 o’clock sharp! With over 100 people visiting last weekend and numerous emails and phone calls, we know the demand for the 18 presale South Surrey homes being released in the Creekside Collection Wills Creek is very high. Because you have registered your interest and are important to us, we are pleased to give you the first opportunity to purchase a presale South Surrey home at Wills Creek real estate development before the general public. We are taking private presales Townhome appointments between now and Friday so you can purchase the Wills Creek South Surrey home you want before it is gone. The Wills Creek Creekside Collection features: Spacious South Surrey home floor plans ranging from 2,100sqft to 2,700sqft as well as a 2,400 master-on-main plan for those who want the master ensuite and bedroom on the main level, fully finished lower levels with customization options and the same luxurious finishings Wills Creek South Surrey homes for sale is known for. Also, the most coveted private, creekside locations are available starting at only $549,800 plus GST here at the presale South Surrey homes for sale. Without a doubt Wills Creek Surrey townnouses is the best new home buy in the South Surrey real estate market with unmatched value, quality and lifestyle. We encourage you to call us at 604-542-8971 and book your appointment today to ensure the best selection of presale South Surrey homes for sale. Most sincerely, Enrica at the Wills Creek Sales Team by TRG Downtown Realty. Morgan Creek Community’s Wills Creek Townhome Update - Fraser Valley Real Estate board reports the highest number of real estate transactions ever recorded for the month of July. There were 2,089 sales processed, an increase of 62.3 per cent compared July of last year. And Wills Creek South Surrey homes for sale is no exception. With a steady stream of interested new homebuyers, we have welcomed a number of new families over the last few weeks into our new Morgan Creek South Surrey real estate neighbourhood here at Emaar Development’s Wills Creek townhouses. Don’t miss out on your opportunity to buy in this unbeatable South Surrey real estate market, come see us today to ensure the best selection of remaning Wills Creek Townhouses for sale. Featured Floor Plan here at the South Surrey Wills Creek townhomes for sale: We have recently unveiled our redesigned A floor plan. This is the only Wills Creek floor plan that features a master bedroom on the main floor complete with a large patio for enjoying your morning coffee. The addition of an optional laundry room on the main floor of this South Surrey floor plan allows for one level living. The grand stairs going up to the second master bedroom and two additional flexible spaces has been split to include a spacious landing for the Wills Creek floor plan A. The upper master bedroom includes a walk in closet, well appointed bathroom, and an expansive patio. The gourmet kitchen in this beautifully laid out South Surrey home for sale includes all top of the line appliances and adjoins a cozy eating area and family room complete with a fireplace. The geothermal system costs only $118 per month to heat your home in the winter and air condition it during the summer, it is economical and earth saving, which is very unique to the Morgan Creek South Surrey real etate market place. Offering approximately 4,400 sq ft of spacious living on 3 levels this Wills Creek new Surrey home for sale can be furnished in many ways to fit your lifestyle. Take advantage of this unmatched value starting at only $729,900, which is an unbeatable price for this value driven South Surrey real estate development. Morgan Creek and South Surrey Community Events coming up: Darts Hill Garden Park is one of the most outstanding plantsman's gardens in Western Canada and on September 26 they are hosting a Public Open House and Plant Sale. This 7.5 acre park represents a great opportunity to see many unusual and rare plants as well as the exotic fruit and spectacular colour of its huge variety of mature trees and shrubs. For more information please call Darts Hill Garden Park at 604-501-5050. We have an excellent selection of move in ready Wills Creek new Surrey homes for sale as well as presales Wills Creek Morgan Creek homes available in early 2010. Visit us to choose the home right for you at 3109 – 161st Street, right across the street from Morgan Creek Golf Course. The Wills Creek South Surrey presentation centre is open 12pm to 5pm daily except Fridays. For any questions or further information about this South Surrey real estate development of townhomes and family townhouses, please give us a call at 604-542-8971. We look forward to seeing you soon! Two bedroom rowhomes in Clayton Village Surrey are called Tate living and the include lots of space, function and impeccable design. Coming Soon. TATE’s 97 homes have colonial inspired red brick exteriors which surround open contemporary interiors. These thoughtfully designed homes at TATE in Surrey’s Clayton Village set amongst well balanced, well-laid out community in Surrey. Register Today at www.tateliving.com or call 604.576.7990. TATE by MOSAIC. Following the success of KEW, MOSAIC Homes is preparing to launch TATE, a sister community featuring ninety seven row homes with the bend of spacious, contemporary interiors and Old World Charm of heritage brick exteriors. New at TATE Surrey will be 19 live/work homes perfect for entrepreneurs andhome businesses. Floor plans available in either two or three bedroom with den. Be sure to watch for the opening of TATE’s presentation centre in Surrey. You can find out more at mosaichomes.com. A selction of 129 two, three, and four bedroom townhomes in South Surrey’s prestigious Morgan Heights, Enclave is tucked into a park-like setting near the corner of 28th Avenue and 156th Street. Easy access to Morgan Crossing, Grandview Corner, major transportation routes, plus the year round delights of White Rock and Crescent Beach. Sales of the Enclave at Morgan Heights townhouses will launch early 2008. For more information, visit www.enclaveliving.ca. The priority registration website is now up and running for this low-rise community located at the corner of 194th Street and 64th Avenue in Surrey called Waterstone. Offering a broad range of housing options at Waterstone condos in Surrey – each phase with different styles, suites, and outlook – means something for every lifestyle. There’s also a spacious amenities building with swimming pool, theatre, yoga studio, and exercise room. Priority registration for Surrey’s Waterstone condominiums is underway by calling 604.530.5399 or visit www.waterstoneliving.ca. Click here for more information about the Promenade Condos, Waterstone Surrey Phase 1 Release. 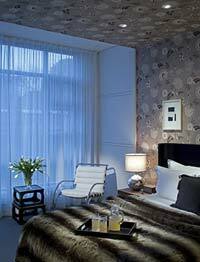 Surrey’s Manhattan Skye – Upscale. Down to Earth. Only 15 units left in the final phase sellout of three bedroom homes at the Manhattan Skye Surrey townhouse development. Special cash rebates last until November 7th! Destined to stand apart with its classic English colonial architecture and ornate flowerboxes that accent the red brick façade. Here luxury is standard. 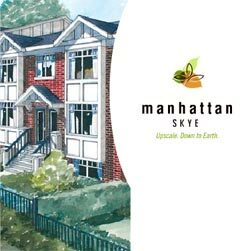 Nestled atop a hill, the Manhattan Skye Surrey townhouses, you gaze out at the picturesque valley below. The majestic peak of Mt. Baker in the distance. Langley Valley views from many Manhattan Skye homes. Starting from $308,900. Visit www.manhattanskye.com or call them at 604.514.4857 and the open house daily at 12-5 and closed on Fridays. The site address is 19551 66 Avenue in Surrey BC. Short on information but long on location, Wills Creek is now accepting priority registration. These exclusive Wills Creek townhouses in South Surrey are located just a stone’s throw from Morgan Creek Golf Course and only minutes from shopping, schools, beaches, and restaurants. For more info about the South Surrey Wills Creek townhomes, please visit www.willscreek.ca. We wanted you all to know, you are not being ignored. The response to our initial introduction campaign has been far greater than we anticipated, making it difficult to get back to each of you in as timely a fashion as we would like. Out technitions are in the final stages of the Wills Creek townhome web site construction & the designers are tweaking our plans for the final time. Once they are done, it will make your questions much easier to answer. Wills Creek Townhouses is undoubtedly going to be the finest townhome development in the Morgan Creek area & well worth the wait! In the meantime, for those of you that wish to speak to me, I can be reached @ 604-231-9793, most anytime. Here are several more reasons by Wills Creek Surrey master planned resort style community makes sense form a first time homebuyers to retired couple perspective. Fisher Paykel gourmet appliances, geothermal heating and cooling, well designed and spacious floor plans to chose from as well as the Wills Creek Club amenity centre with a heated pool. Other reasons why you should consider purchasing a new Surrey home at Wills Creek community by Emaar Canada include: professional maintained grounds for low maintenance living, 2-10-10 home owner warranty (even better than the standard home warranties), homes that are ready when you are and Built by Emaar Canada – the World’s leading real estate developer. What more could you ask for? Starting from just $539,900! Who says you can’t have it all? With Wills Creek Surrey townhomes for sale that are handcrafted in exquisite finishes, upgrades as the standard and are environmentally responsive design, including geothermal cooling and heating, Wills Creek townhouses is the very definition of fine filing. Located in the master planned Morgan Creek South Surrey real estate community, the Wills Creek townhomes are now selling very quickly. As a Wills Creek Townhomes Insider, we are pleased to give you a sneak peak of the South Surrey’s Wills Creek website before it is officially launched to the general public. Visit www.willscreek.ca to learn about the classic Craftsman architecture of the homes, the stunning Ledingham Design Consultants' interiors and the amenities available to you as a Wills Creek homeowner in South Surrey. Preconstruction Wills Creek floorplans are also available online, helping you select the best plan to fit your lifestyle. Located a stone’s throw from Morgan Creek golf course, pre-sales Wills Creek Town Houses offers 3- and 4-bedroom townhomes starting from the low $600s. Brought to you by EMAAR, the South Surrey townhomes have the exceptional design, high-quality and sustainable efficiencies EMAAR is known for the world over. PS- Due to overwhelming early interest, a limited collection of Wills Creek South Surrey townhomes will be released in the next week. I will send you an email in the next few days with details as I get them, however if you are interested I strongly recommend booking an appointment in advance as interest is likely to be high. To schedule an appointment, please contact me directly at 604-233-1267. Wills Creek Townhouses has partnered with Corix to ensure our commitment to the environment. Corix is a leading supplier of Ground Source heating and cooling, a system that uses renewable energy and reduces costs to the homeowner by up to 60%. Geothermal involves drilling over 100 feet underground and laying high density pipe. These pipes are filled with an environmentally friendly antifreeze/water solution that acts as a heat exchanger. In the winter, the fluid in the pipes extracts heat from the earth and carries it into your home. In the summer, the reverse occurs. For more information on this feature of living at Wills Creek Surrey townhomes, visit www.corix.com. The Surrey Art Gallery is hosting Forty-Part Motet, a unique artwork created by Canadian artist Janet Cardiff. On tour from the National Gallery of Canada, this 'sound sculpture' features a recording of the Salisbury Cathedral Choir performing a 16th century composition. Individual voices project from forty speakers placed at head height and arranged in an oval pattern. Walking past the speakers singles out individual performers while standing at the centre you hear the combined effect. This exhibition continues to March 23, and is just steps away from this real estate presales Surrey community of townhomes at Wills Creek Surrey pre-sales. Also featured until March 9 are new works – paintings, drawings, and prints – by students from the Surrey School District's Secondary schools. For more information on these exhibitions and the Wills Creek location, visit www.arts.surrey.ca. The next release of townhomes at Wills Creek Townhomes offered in the Surrey presales real estate market is schedule for spring 2008. Your registration has secured a priority position giving you the opportunity to visit the Display Center, view the Show Homes, and purchase your home at Wills Creek Townhouses before the general public. More information on these VIP Events to come. Thank you again for your interest in Wills Creek. Should you have any questions, please call Rod Sopko at 604-542-8971. 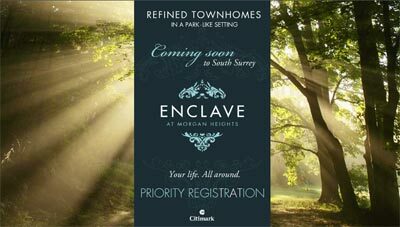 I am excited to announce the release of a limited collection of townhomes at Wills Creek Surrey in Morgan Creek. Due to overwhelming interest, a small number of homes have been released by the Developer to Insiders like yourself, to thank you for your early interest and patience as we prepare to release the development to the General Public in early 2008. We are now taking private appointments to learn more about the Wills Creek community, view available floorplans, the stunning finishings and the interior colour palettes designed by award-winning Ledingham Design Consultants. For more information and to schedule your private appointment, please call me directly at 604-542-8971. This release, at pre-launch Insider pricing, is only available until December 20. The Construction Team has had a very busy winter out at Wills Creek Surrey presales townhomes. The land has been prepared with almost half of the basements excavated and foundations poured. Framing has commenced and homes in phase one are starting to take shape. The presentation center, which will be located on site, is in the early stages of roofing and siding. If you haven't visited the site in a while, be sure to drive by to see the progress. Bikes- The Wheel Story: The Surrey Museum is hosting an exhibit on one of the world's most amazing machines - the bicycle. Explore interactive stations and discover how the bicycle works and the many ways in which we use it. Artifacts, photographs, hands-on components, and bicycle art from an eclectic "bicycle bazaar" invites visitor participation. Presented by the Canada Science and Technology Museum. For more information, call Heritage Services at the Surrey Museum at 604-592-6956. Your Next Opportunity to Own at Wills Creek Surrey townhomes presales: The next release of pre-constructoin Surrey townhomes at Wills Creek is schedule for spring 2008. Your registration has secured a priority position giving you the opportunity to visit the Display Center, view the Show Homes, and purchase your home at Wills Creek before the general public. Thank you again for your interest in Wills Creek. Should you have any questions, please call Rod Sopko at 604-542-8971. Now under construction but in presales marketing phase, and preparing to open their sales centre later this spring, Wills Creek South Surrey is a collection of 98 exclusive, three level townhomes located at 32nd Avenue and 160th Street (just across from Morgan Creek Golf Course and only minutes from shopping, schools, beaches and restaurants). Set on a 17.5 acre property real estate, the South Surrey townhomes at Wills Creek are spacious, ranging from twenty five hundred and fourty four hundred square feet including a finshed basement. Available in a selection of Wills Creek three and four bedroom plans, some with master bedrooms on the main floor. The real estate South Surrey presales development is centred around Wills Creek, a salmon-bearing creek that has bee preserved and enhanced. Prices start in the low six hundred thousand dollar range. For more details about Wills Creek Surrey townhomes, please visit www.willscreek.ca. Showhomes at Wills Creek Open Soon! We are excited to announce the Wills Creek Showhomes are opening at the end of the month! Be the first to view two fully furnished Wills Creek town home Showhomes featuring lofted 10 foot ceilings topped with crown moldings, oversize windows and doors, marble and granite countertops along with many other luxurious finishes. Since there has been tremendous interest, we are holding May 29th to June 6th for private Wills Creek pre-sales town homes Surrey appointments. Reserve your appointment early to preview the Wills Creek Surrey real estate Showhomes and ensure you get the home you’ve been waiting for. Call me at 604-542-8971 to book a time that is convenient for you. I will be in touch over the next week to answer any questions and book your appointment. Thank you for your support and I can’t wait to share this experience with you. Please note that we will be closing the Wills Creek Presentation Center from May 23rd to May 28th to prepare for the Showhome opening. We are excited to announce the Showhomes at Wills Creek Surrey Morgan Creek community are opening by appointment only for priority registrants on June 5th! Be the first to view two fully furnished Show Homes at Wills Creek town homes featuring lofted 10 foot ceilings topped with crown mouldings, oversized windows and doors, marble and granite counter tops along with many other luxurious finishes. As you know, the pre-construction Morgan Creek Surrey Wills Creek townhome community is right across the street from Morgan Creek Golf Course. Built by Emaar Properties, Wills Creek pre-sale Surrey town homes are spacious 3 or 4 bedroom townhouses designed in a Craftsman style. With geothermal heating, cooling, designer kitchens, and top of the line Energy Star appliances, presale Wills Creek Morgan Creek community homes have effortlessly blended sophisticated style and environmentally sustainable technology. Since we’ve had a tremendous interest, we are holding Junt 5th to 13th for private sales appointments for pre-construction Morgan Creek townhomes at Wills Creek in the new Surrey real estate market. Appointmnet times are booking up fast so reserve your time now to preview the Showhomes and ensure you get the home yuou’ve been waiting for. Call us at 604.542.8971 to book one of the remaining spots. We thank you for your support and can’t wait to share this experience with you. Wills Creek Makes Moving Easy! Think townhouse living is all the same? Think again. Introducing Wills Cree in South Surrey townhouse living like you’ve never seen before. By S. Boyce for the New Homebuyers Guide. From the minute I arrive, there’s a sense this neighbourhood is different. Homes have an elegance that’s subtle yet distinctive, an underlying feeling of quality and solidity. Inside the Wills Creek presentation centre there’s a tangible excitement. Real World Options. Downstairs there’s yet another surprise. Forget the idea of a “flex room that would be perfect for a gym.” At preconstruction South Surrey’s Wills Creek, real estate developer EMAAR brings the dream to life with a choice of three upgrade options – everything else we’ve seen is standard. Into fitness? How about a Wills Creek townhome gym with rubberized, low impact flooring, surround sound, and a couple of pieces of equipment? They’ll create that for you. If movies are your passion, you could opt for a Wills Creek South Surrey townhome theatre with 58 inch plasma TV, Blue Ray DVD, professional speaker package, and entertainment kitchen. Then again, perhaps, like me, it’s wines that make your heart beat faster. In which case, your own private Wills Creek townhouse in South Surrey will have a wine cellar. Racking for 1300 botles in a climate controlled glass enclosure, entertainment kitchen, and comfy seating area – I’m in heaven. I can’t recall seeing a cellar of this size or beauty outside of custom manors. Wills Creek townhomes in South Surrey real estate offers a total of ninety eight exclusive, three and four bedroom preconstruction Surrey townhomes priced from $648,800 – an outstanding value for this degree of luxury construction and finishing. Home owners at the townhomes at Wills Creek Surrey will also have membership in The Creek Club with fitness facility, gazebos, a bocce field, and heated outdoor swimming pool. The presentation centre and two fully furnished dpslay homes at the wills Creek townhouses in South Surrey are open noon to 5pm daily except Friday at the corner of 32nd Avenue and 160th Street in Surrey. For more information, visit www.willscreek.ca or call 604.542.8971. Wills Creek Autumn Sales Event! A wise writer once said “Autumn is indeed the crowning glory of the year”. To celebrate the changing seasons and recognize the glory and beauty of autumn, Wills Creek Morgan Heights is holding a limited time only Autumn Sales Event* on all remaining released of new South Surrey homes. Take advantage of a 5% GST credit on the purchase of your new pre-construction Morgan Heights Wills Creek home! Select your presale South Surrey townhome today and you can be enjoying it before the snow flies. Without a doubt Wills Creek townhomes is the best new home buy in the South Surrey real estate market with unmatched value, quality and lifestyle. Act now as this offer is only available until September 30th! Our presale Wills Creek presentation centre and two fully furnished Showhomes are open daily (except Fridays) from 12-5 pm and are located at 3109 161st Street in South Surrey real estate. We would like to thank you for your continuing interest in Wills Creek and hope to see you soon! Warmest Regards, Ken Chouinard Wills Creek Sales. * This offer is for new pre-construction Wills Creek South Surrey Homeowners only and cannot be used in conjunction with any other offers. New Morgan Heights homeowners include only those who have not signed a contract (subject or firm) with Wills Creek since January 1, 2008. *This credit is only applicable on contracts that are firm as of December 15th, 2008 with no subjects and a 10% deposit paid. September is a time for change. You adjust to the weather, you adapt to new routines, and at the pre-construction South Surrey Wills Creek you can save up to $55,000 during our Autumn Sales Event! For a limited time only, Wills Creek Surrey Townhomes for sale is offering a 5% GST credit (this offer is for new Homeowners only and cannot be used in conjunction with any other Wills Creek offers. New home owners include only those who have not signed a contract (subject of firm) with Wills Creek South Surrey townhouses since January 1, 2008) Credit is only applicable on contracts that are firm as of December 15th, 2008, and have no subjects and full 10% deposit paid). This is for any new purchase of a Wills Creek Home in the Surrey real estate market! Select your presale townhome at Wills Creek Surrey property and you can be enjoying it before the snow flies. Choose from 3 or 4 bedroom pre-construction Surrey homes with open floor plans and gorgeous finishings. Without a doubt Wills Creek townhomes in Surrey real estate is the best new home buy in the South Surrey property market with unmatched value, quality and lifestyle. With upgrades as our standard and green practises such as geothermal heating and cooling, Wills Creek Surrey homes is a smart buy. Act now as this 5% GST Credit is only available until September 30th! WE encourage you to visit the Wills Creek presentation centre soon to take advantage of the Autumn Sales Event. The South Surrey Wills Creek sales office as well as two fully furnished showhomes are open daily except Fridays from 12-5-pm and are locatedat 3109 161st St in South Surrey real estate. We would like to thank you for your continued interest in Wills Creek and hope to see you soon! Ken of the Wills Creek Sales Team. wills creek Surrey real estate development update: Phase 1 homes at Wills Creek Surrey townhomes community are nearing completion, be sure to stop by the site to see how the community is shaping up. We are also excited to be welcoming our first homeowners over the next couple of months! featured home - Home number 2 at the Surrey Wills Creen real estate development is a charming, craftsman style, 2933 sqft, 3 bedroom home designed to the highest standards. This B plan is wonderfully situated on a Wills Creek townhomes master planned community road close to the amenity centre and outdoor pool. With an extended driveway and a beautifully landscaped entertaining patio, this new Surrey home is sure to go fast. Also, this Surrey pre-sale home will be ready for you to move in before the snow flies! community events - The ever-thirsty Count rises again, just in time for Halloween... The White Rock Players’ Club is kicking off their 2008-2009 season with "The Passion of Dracula" - a re-telling of the Bram Stoker’s classic tale. This thriller, with a comic bit, takes place in a small village in the English countryside in the autumn of 1911. The play runs from October 8th to the 25th at the Coast Capital Playhouse at 1532 Johnston Road in White Rock. For more information visit www.whiterockplayers.ca. For any questions or further information about the master planned new Surrey real estate development at Wills Creeek townhomes, please visit us at 3109 – 161st Street, 12pm to 5pm daily, excluding Fridays or give us a call at 604-542-8971. Trick or treat at Wills Creek townhomes! Be sure to bring your kids and grandkids to Wills Creek Surrey October 31st for a treat and a chance to win a kids Halloween gift basket. Trick or Treat at Wills Creek! Double, double toil and trouble; Fire burn, and caldron bubble. Halloween is creeping upon us and Wills Creek Surrey townhomes for sale will be open to greet your little ghosts and goblins! Bring the kids and grandkids to Wills Creek between 3pm and 6pm on Friday October 31st for some great trick or treating and a chance for your little ones to win a Halloween Basket from Purdys. We have also just recently re-decorated both Surrey Wills Creek Showhomes. Be sure to stop by and see the new fitness room, updated living room, and get some new home decorating ideas! To learn more about these stunning new Surrey homes, call us today at 604.542.8971 or visit us at 3109 161st Street in South Surrey. We look forward to seeing out at Wills Creek new South Surrey homes! Wills Creek South Surrey: NEW YEAR, NEW PRICES, NEW HOME! “Times of turmoil, from which we always emerge, offer excellent opportunities to buy quality real estate,” remarks Real Estate Board of Greater Vancouver president, Dave Watt. We at the pre-construction South Surrey Wills Creek real estate development have been following the news just as you have been. While we know that our pre-sale South Surrey homes have unmatched quality, value and lifestyle, we want to respond to the market conditions and give you a new opportunity to own a home at Wills Creek community at REDUCED PRICES. Wills Creek is the best choice in South Surrey real estate market because… Geothermal heating and cooling is installed which reduces emissions and monthly bills and assisted in pre-sale South Surrey Wills Creek's Gold EnerGuide Rating; Exquisite finishes, detailed craftsmanship, and ‘everything is standard’ approach is unrivaled granting overall best value in the neighborhood of Wills Creek South Surrey real estate development; Location is ideal with Morgan Creek Golf Course right across the street and almost fully developed lands on all other sides; The property developer of the pre-construction Wills Creek South Surrey property, Emaar, has a worldwide reputation of innovation and endurance and has a long-term commitment to the British Columbia market. There's never a better time to purchase a new South Surrey home than when it's a "Buyer's Market". Visit us today to take advantage our new reduced prices and best selection of more-in ready Wills Creek homes! We are located at the corner of 32nd Avenue and 160th Street in South Surrey -open daily except Fridays between 12:00 noon and 5:00 pm. See you soon! Emaar Canada is thrilled to welcome the first Homeowners to Wills Creek Surrey townhomes in the Morgan Creek real estate neighbourhood! This is an exciting time, not only is the Wills Creek real estate Surrey community growing, but also Emaar Properties now has a Canadian contingent to their 35,000+ homeowners worldwide! With more move in ready Wills Creek Surrey Morgan Creek homes for sale the community is taking shape and becoming the best living and lifestyle option in the Morgan Creek area. Be sure to stop by to view all of our floor plans to find the one that’s right for you! Featured home here at the pre-sale Morgan Creek Surrey Wills Creek homes for sale: Home 12 is one of only two ready to move in D plans. It boasts a rich colour palette including dark antique maple hardwood floors and polished coffee brown granite kitchen countertop with a stunning golden sand quartzite backsplash. With the geothermal system costing only $112 per month to heat your home in the winter and cool it during the summer, it is economical and earth saving. With just over 1,600 sqft of exquisite living space at this new Wills Creek Surrey townhome for sale in Morgan Creek real estate development on the top two floors and 732sqft in the finished lower level, this home is exceptional value at $539,900. Community events here at Morgan Creek Surrey neighbourhood - The Nite of Hope is an evening of fun and fundraising benefiting the Canadian Breast Cancer Foundation, B.C. Yukon Chapter. The evening includes an elegant dinner, live auction, silent auction, raffles and some spring fashions. This year the event takes place on Thursday, April 2 at the Centennial Arena, 14600 North Bluff Rd in White Rock. For more information visit www.niteofhope.com. The Surrey Wills Creek Townhomes Morgan Creek Presentation Centre has moved into the Showhomes to start preparation for the Amenity Centre. We invite you to visit us and view some of our newly completed, and ready to move into homes at 3109 – 161st Street, right across the street from Morgan Creek Golf Course. We are open 12pm to 5pm daily except Fridays. For any questions or further information, please give us a call at 604-542-8971. We look forward to seeing you soon! Answer: Geothermal. Di dyou know that geothermal heating and cooling here at the Morgan Creek Wills Creek townhomes for sale in South Surrey not only reduces 75% of carbon emissions, but can save you up to $30,000 over 10 years? Visit us to learn more about geothermal and all of Wills Creek South Surrey earth savings features. Wills Creek South Surrey real estate development provides unmatched value, quality and lifestyle. Now pricing on move in ready homes here at Wills Creek townhomes are now priced from $539,900. Visit the Wills Creek showhomes every day from noon to 5pm except Fridays at 3109 161 Street in Morgan Creek, South Surrey. Natural refinement is unsurpassed in this new tonwhome lifestyle community that prepared homebuyers for a great range of onsite amenities, facilities and other perks and incentives. Just minutes from the US border and located the highly sought after neighbourhood of South Surrey real estate, the Wills Creek townhomes of Morgan Creek community are now available and ready for move-ins soon as well. Ten foot ceilings and eight foot doors are visually balanced by lavish use of oversized crown mouldings and baseobards and the living room for the Wills Creek Morgan Creek townhouses have vaulted 25 foot ceilings as well. The kitchens are showstoppers and great entertainment spaces well, with French country manor modern styling with sleek stainless steel Fisher & Paykel appliances, two dishwasher drawers that will transform the way you clean up after entertaining in addition to solf close drawers and lots of sleeping space upstairs. The ensuite bathrooms have soaker tubs and separate walk in showers here at the Morgan Creek South Surrey real estate development of Wills Creek Townhomes and there are flex rooms too that you can convert to home offices, gyms or recreational spaces. EMAAR developers can also build you your own in house gym complete with rubberized low impact flooring, surround sound and equipment. Tonnes of upgrades and options are at your disposal here a the pre-sale Wills Creek townhomes at Morgan Creek South Surrey today. The great selection of 3 – 4 bedroom South Surrey townhomes for sale at Wills Creek are now priced from the mid $550s and there are two fully furnished display suites available for viewing now.